Hit US comedy-drama The Bold Type will launch on Amazon Prime Video in the UK, Germany, France and Spain on 9th February 2018. The first season of the series contains 10 episodes. 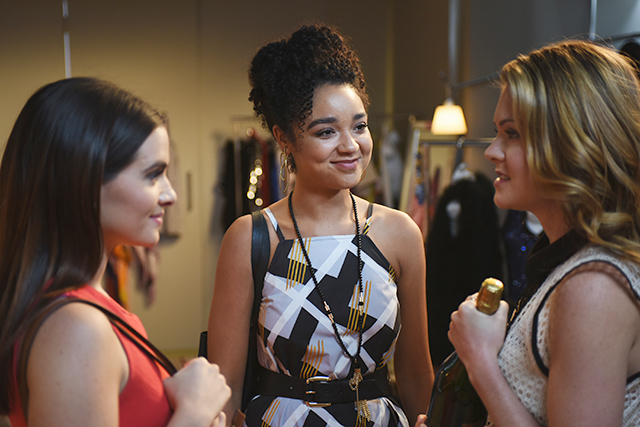 The Bold Type stars Katie Stevens (Faking it) as Jane, Aisha Dee (Chasing Life) as Kat, Meghann Fahy (Political Animals) as Sutton. The series also stars Sam Page (House of Cards), Matt Ward (Remedy) and Melora Hardin (Transparent) as Jacqueline, Editor-in-Chief of Scarlet Magazine. Inspired by the life of Joanna Coles, former Editor-in-Chief of fashion magazine Cosmopolitan and current Chief Content Officer of Hearst Magazines, The Bold Type follows three 20-something women who work at Scarlet magazine, run by high-powered Editor-in-Chief Jacqueline (Melora Hardin, Transparent). The rising generation of Scarlet women lean on one another as they find their own voices in a sea of intimidating leaders. Together, they explore sexuality, identity, love and fashion. The Bold Type has already been renewed for two more seasons in the US. These will launch on Amazon Prime Video in the UK, Germany, France and Spain.